It is with sadness that we learn of the death of Cornelius Petrus Jozef Breed, well known to many as Kees. 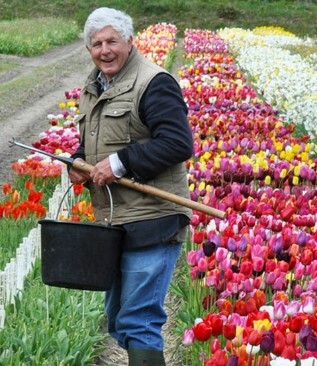 A modest, quiet man Kees had a great love for daffodils and tulips as can be seen from the photo sent by his son Eric. We send our condolences to his family at this sad time.